Legends of alt rock and roll band history Red Hot Chili Peppers released their eighth studio album ‘By the Way’ all the way back in 2002 on July 9th, and fun fact, happens to have been released on my 5th birthday! If only I was old enough back then to listen and ask for a copy as my present. ‘By the Way’ is a 16-track album that sold more than 286,000 copies in the first week, and peaked at number 2 on the United States Billboard top 200. The album features many well-known Chili’s singles such as, of course, “By the Way”, “The Zephyr Song” and “Can’t stop”. Lead singer Anthony Kiedis shows his lyrical talent on this album with falsetto style vocals on many tracks, as well as a wealth of musical talent coming from the rest of the band to produce the tunes we know and love. The album was known for being a different take on the band’s music, hosting a more melodic and emotional track list; with guitarist John Frusciante (credited for writing most of the melodies on the album), claiming that writing ‘By the Way’ was the happiest time of his life. The album opens with the title track, “By the Way”, which was the bands 6th number 1 on the Modern Rock Tracks chart, and is the first of many more harmonious songs on the album. The closest the band came to their classic punk rock ways is on “Can’t Stop”, which also hit number 1 on the same chart! The album was influenced by the writing of John Frusciante, but also influenced by the former drug habits of lead singer Anthony Kiedis, as he had only been sober since December 2000, and so songs such as “This Is the Place” and “Don’t Forget Me” expressed his previous experience with drugs, the physical and emotional effects they caused him and the danger of possible relapse. 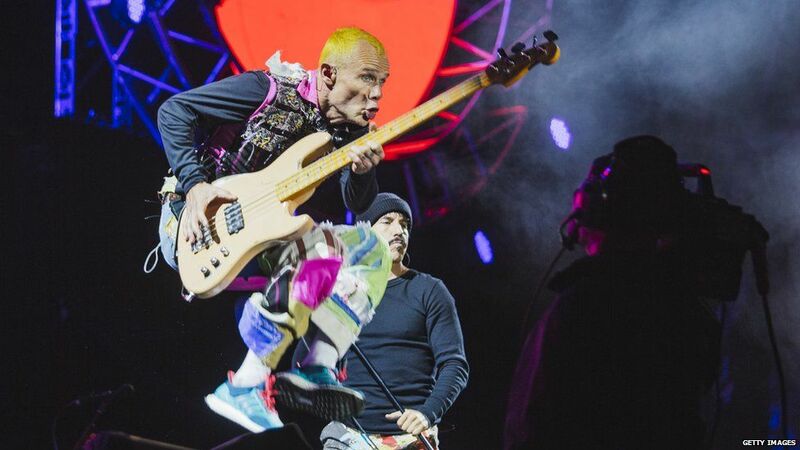 I had the pleasure of seeing Red Hot Chili Peppers live back in 2016 at Leeds Festival, and they were insane. They are one of those bands that everyone seems to know their songs off by heart, fan or not, which made the atmosphere incredible. They played around about a 2 hour set and every minute of it was a thing of beauty, from the whole crowd singing along to Anthony Kiedis’ vocals, to Flea dancing around on the stage like a mad man doing handstands! As per usual, let me know what your favourite Chili’s album is and listen to ‘By the Way’ directly from the Full Volume page, or using the links below on Spotify and iTunes.